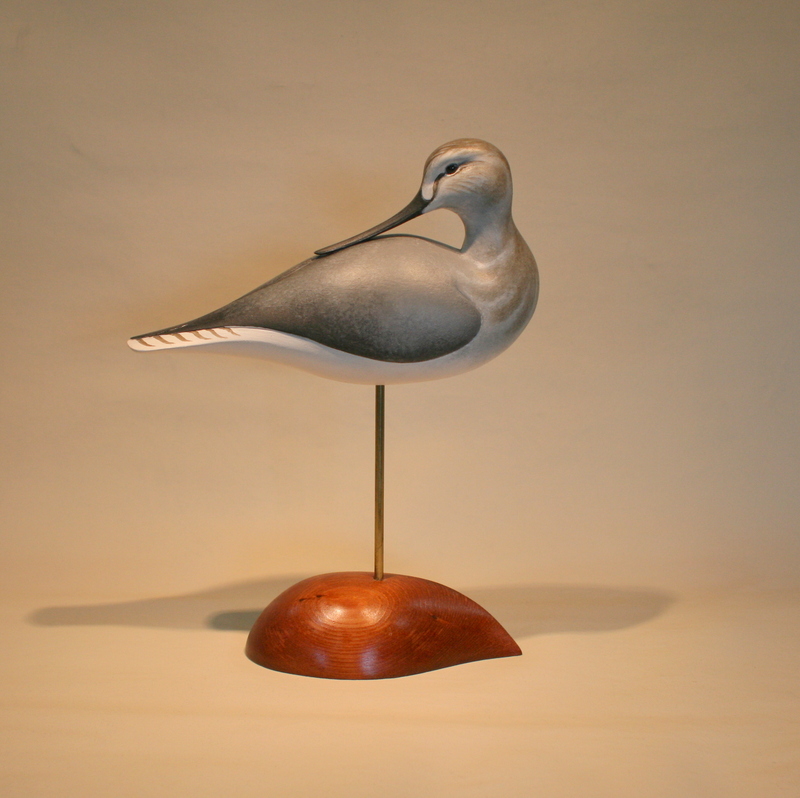 I have enjoyed Greater Yellowlegs more frequently and in more places than the Lesser cousin. Nevertheless, they are both always welcome sights – especially because of their welcome sounds, too. The Greater will linger into the Long Island gunning seasons and so I have seen it many times there – along with the Black-bellied Plovers, Dunlins and even Oystercatchers overwintering there. In any season, though, the loud 3-noted call of this “tattler” excites every time. This bird now resides with a favorite nephew and his new bride. They live in and were married in Austin so we took the opportunity to explore a bit of Texas for the first time. I had actually hoped to see some Yellowlegs – either species would have done – so I could assure the young couple that they could see them “in the flesh” someday. Alas, no Yellowlegs were to be found. We had to settle for Black-necked Stilts and even a couple of Whooping Cranes – but neither Yellowleg. 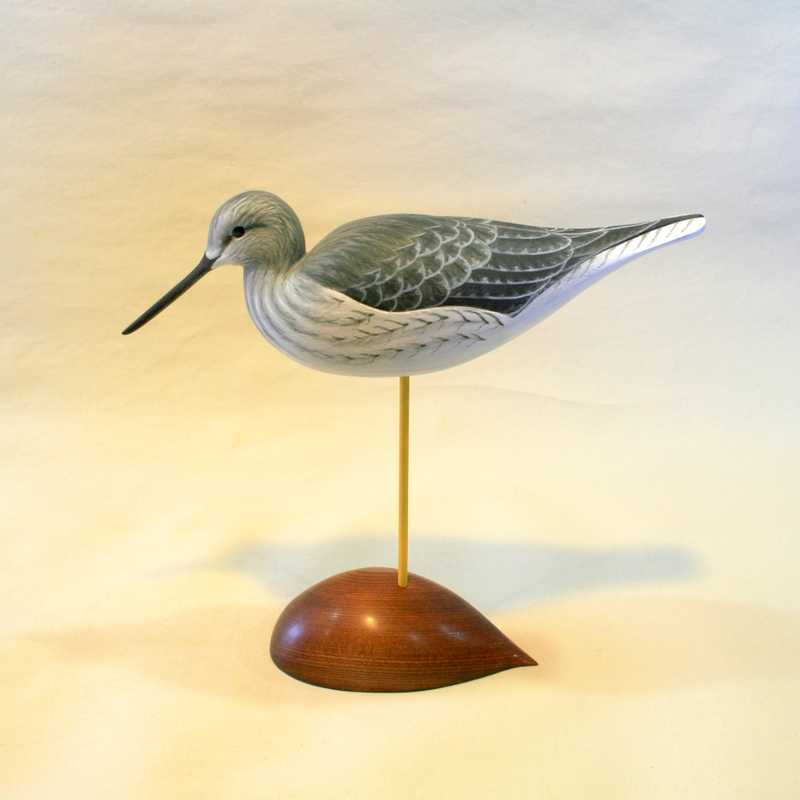 With this bird, I tried to evoke the traditional gunning shorebird. The oils were worked wet – as if I had to paint a dozen or more at one sitting – and the “turnback” Preener pose would protect that slightly upturned but delicate bill.